July 30, 1942: The 'Stage Door Canteen' aired live from New York! July 30, 1942: Stage Door Canteen aired for the first time on CBS. 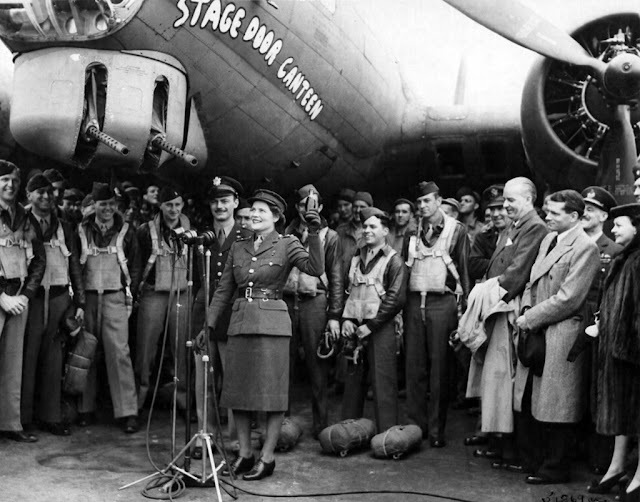 The show originated from New York City with an aim to entertain American and Allied servicemen every week. The program featured radio stars who generously offered their time for the troops. At the height of World War II, the American Theater Wing created Stage Door Canteen in New York as a recreational center for American servicemen while on leave. The show featured the biggest names in radio entertainment who lent their time to show their support to American troops who served in the war. The consummate entertainer is one that carries a “valise” full of varied talent. 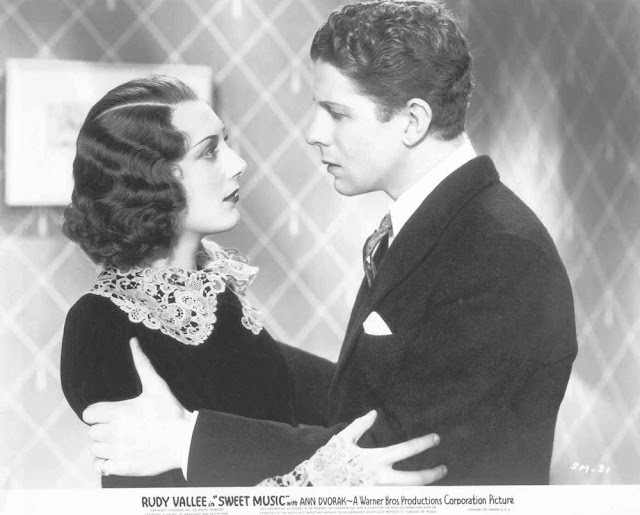 Rudy Vallee was one example of such a skilled performer. Born on July 28, 1901, Vallee carried the mantle of bandleader, singer and actor...if only he could have danced. Music was dear to the heart of Mr vallee and it showed with is being part of his high school band. He could play drums, clarinet and saxophone. In the mid-20’s he went to London and played with the Savoyband. Upon returning to the U.S., vallee enrolled in college and and put together his own band, “Rudy Vallee and The Connecticut Yankees.” He developed as a crooner using a megaphone and his style made him an instant hit with the young ladies of his day. This early century version of a “pop star” began to grow in his musical repertoire as he began to record label after label for the music fans. Hits like “Life is Just a Bowl of Cherries” and “As Time Goes By” began to appear on the airwaves from stations all over the country. Rudy Vallee also hosted various radio programs over the years. In 1929, he was the host of The Fleischmann’s Yeast Hour and The Royal Gelatin Hour during the 30’s. During the 1940’s Rudy Vallee took a break from radio to serve with the U.S. Coast Guard. These variety programs brought many of the big name stars into millions of homes every week. Over the years Vallee appeared many films. he starred with the likes of Claudette Colbert and Cary Grant. As the years passed his voice took on a baritone langor and gave him varied opportunities that had been limited earlier in his career. In 1986 Rudy Vallee passed away from cancer. His music can still be heard in collections that have been preserved. July 22, 1933: Radio soap opera The Romance of Helen Trent debuted on CBS. The show remained on the airwaves for twenty seven years, broadcasting 7,222 episodes. The title role Helen (who remained at the age of 35 years throughout the program) was first played by Virginia Clark for almost a decade. Her role was then taken over by Julie Stevens for sixteen years. The Romance of Helen Trent was created by Frank and Anne Hummert. It was one of CBS's soap opera programs, telling the story of a 35-year-old dressmaker who fascinates men as she works her way up to becoming the chief Hollywood costumer designer.